The Bureau of Labor Statistics recently reported that the unemployment rate for October 2018 remained unchanged from the prior month at 3.7 percent. Low unemployment has been one of many positive outcomes during a strong U.S. economy. Real estate has also been a benefactor of recent economic strength, as cranes dot U.S. skylines and median sales prices have increased in most residential real estate markets for several years. Gainful employment is important in order for these conditions to continue. As sentiments regarding the direction of housing markets have changed, it’s worth remembering two key facts. First, all housing is local—what’s happening in San Francisco, Seattle and Denver is not reflective of the Minneapolis-St. Paul market. Second, the housing market faces fewer risks than in the mid-2000s. After years of strong buyer activity and weak seller activity, the tides seem to finally be shifting. Five of the last six months showed increases in new listings; while five of the last six months also had decreases in pending sales. It’s worth noting there’s a significant difference between deceleration and contraction. The market is decelerating, but not yet contracting. Prices continue to rise, homes are selling in less time and sellers are yielding a higher share of their list price. 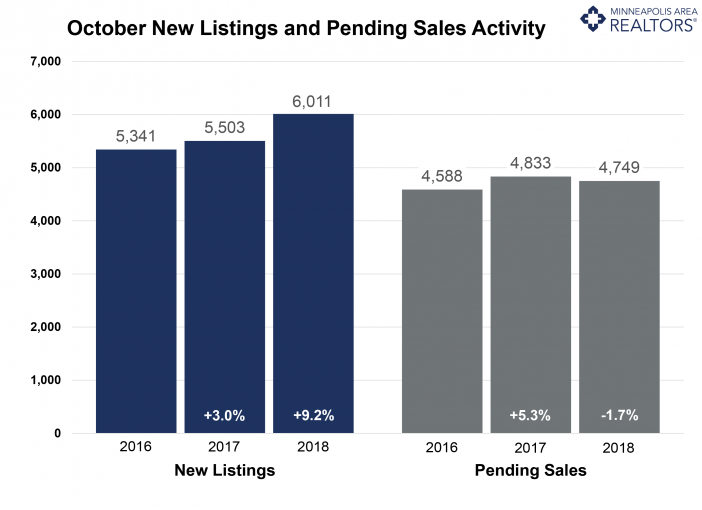 Excluding September 2018, October had the smallest decline in active listings since May 2015, and those long-awaited inventory gains could arrive as early as next year. Months supply was stable at 2.4 months, suggesting a tight market but also a flattening out pattern. Rising rates could impact some budget-conscious buyers. 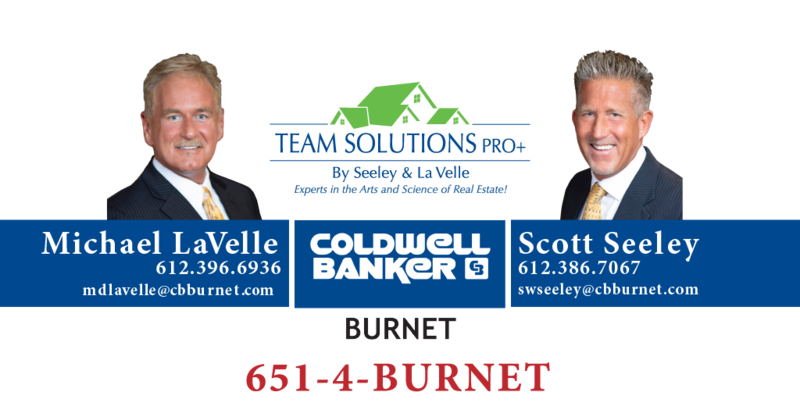 The lack of supply is especially noticeable at the entry-level prices, where multiple offers and homes selling for over list price are commonplace. The move-up and upper-bracket segments are less competitive and—for the most part—much better supplied. Inventory could double while sales remain stable and we’d still have less than 5 months of supply. Real estate professionals from around the globe recently gathered in Boston to network, teach, learn and share at the National Association of REALTORS® Conference and Expo. It is an annual tradition that has been going strong since 1908. An organized real estate industry is a healthy one that can have a positive effect on real estate transactions and beyond. The relative market balance being experienced across the nation can’t entirely be attributed to REALTOR® cooperation, but it certainly doesn’t hurt. 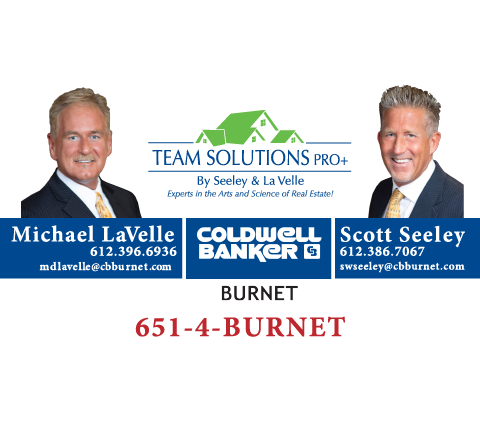 In general, the country is experiencing a balanced real estate market in one form or another, depending on geographic location. 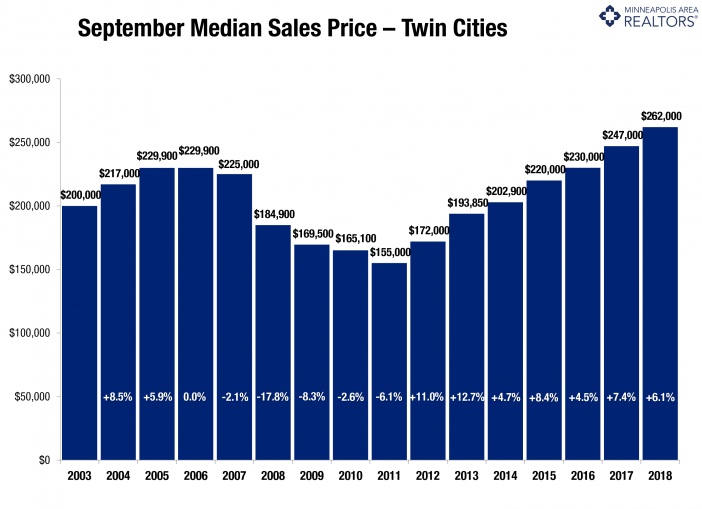 While it is true that median sales prices are relatively high in terms of housing affordability for the standard household wage, metrics such as new listings, pending sales and inventory are all fairly level with year-ago levels in much of the nation. At a time of stock market volatility, political uncertainty and rising interest rates, this is very welcome news. It is that rare two-week window when not only politicians battle each other in order to convince voters who is best, but when professional football, baseball, hockey and basketball teams are battling for dominance in their respective sports. Competition is in the air, and yet the bulk of residential real estate markets across the country continue to enjoy a fair and balanced playing field. Even inventory, which has been down for years, is not looking so far from year-ago levels. Residential real estate continues to churn out impressive numbers as we reach deeper into autumn. 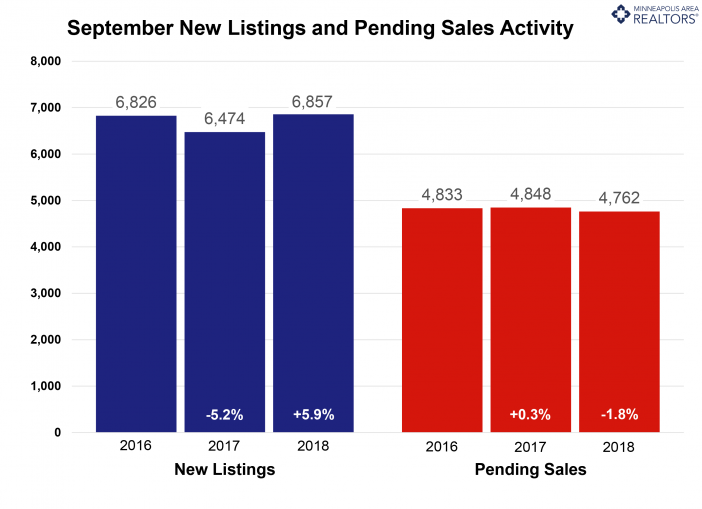 In many markets, new listings and/or pending sales are still outperforming the results from this same time last year. 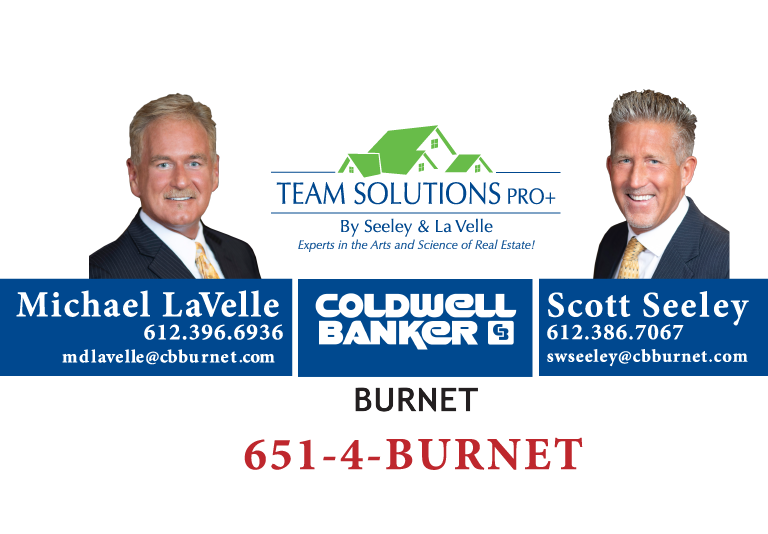 When the economy is strong, buyers and sellers will remain active beyond the more traditional selling season. Predictions for a slowdown are rolling in, but we’re not there yet. Let’s take a look at what’s happening locally. The U.S. unemployment rate recently dropped to 3.7 percent, which is its lowest mark since December 1969. The economy continues to bear impressive fruit within and outside of residential real estate, and the Federal Reserve has reacted by raising the benchmark federal funds rate by a quarter of a percentage point, the third rate hike of 2018. While this may be undesirable news for those carrying high credit debt, it is also a reflection of a bright economic outlook.